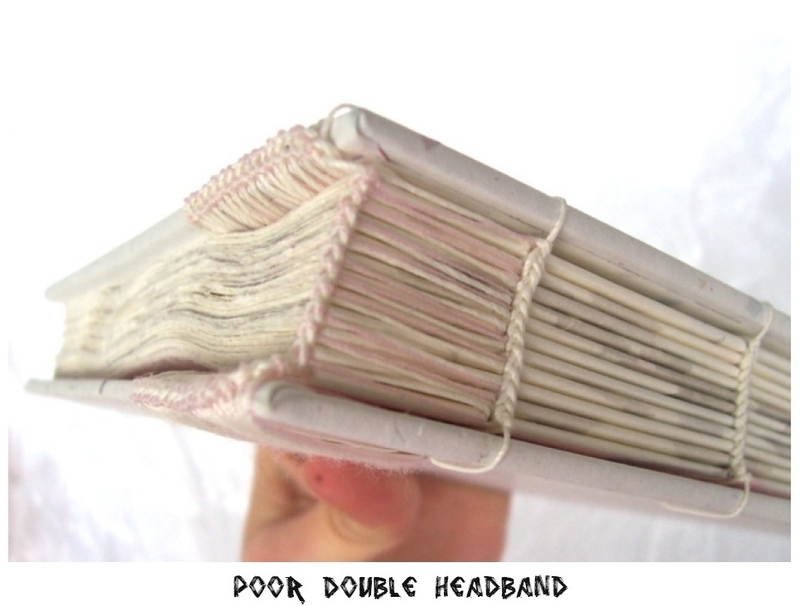 In the picture on the left you see an example of a Coptic bound book with Coptic endbands. 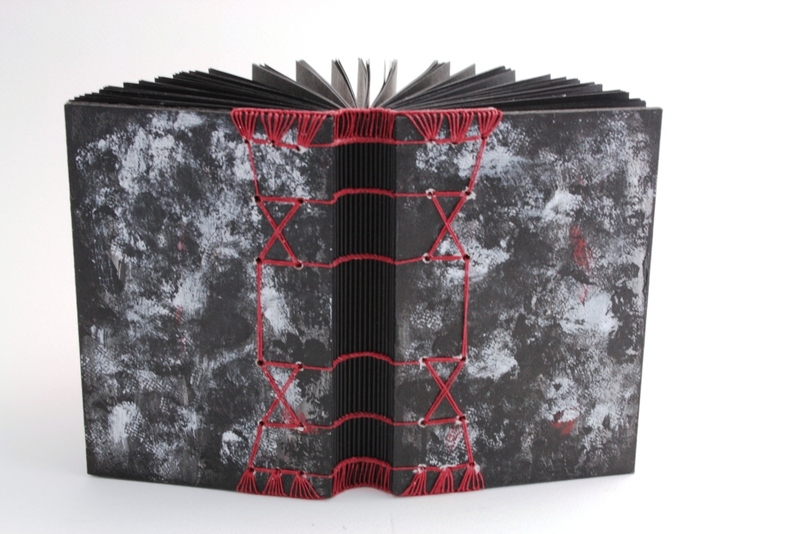 The first edition of “Six Ways To Make Coptic Headbands” was finished in 2010 and was sold as a handbound book. Currently the 3rd supplemented and revised edition from 2013 is available, which is sold as an ebook only. 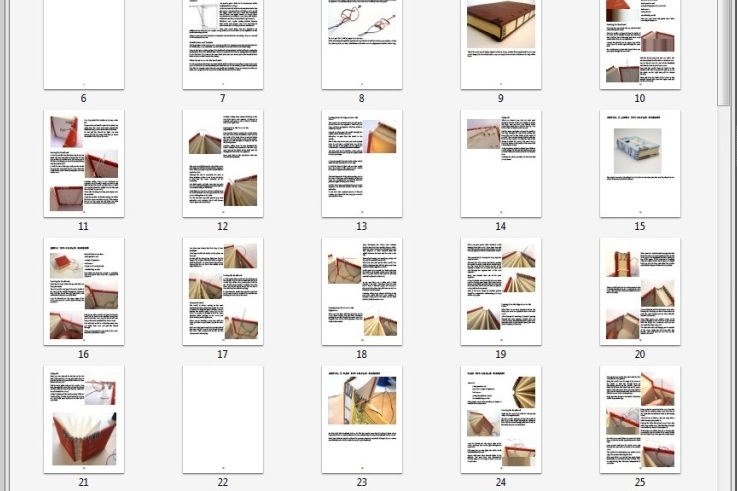 The book contains step by step instructions, each accompanied by plenty of photos. 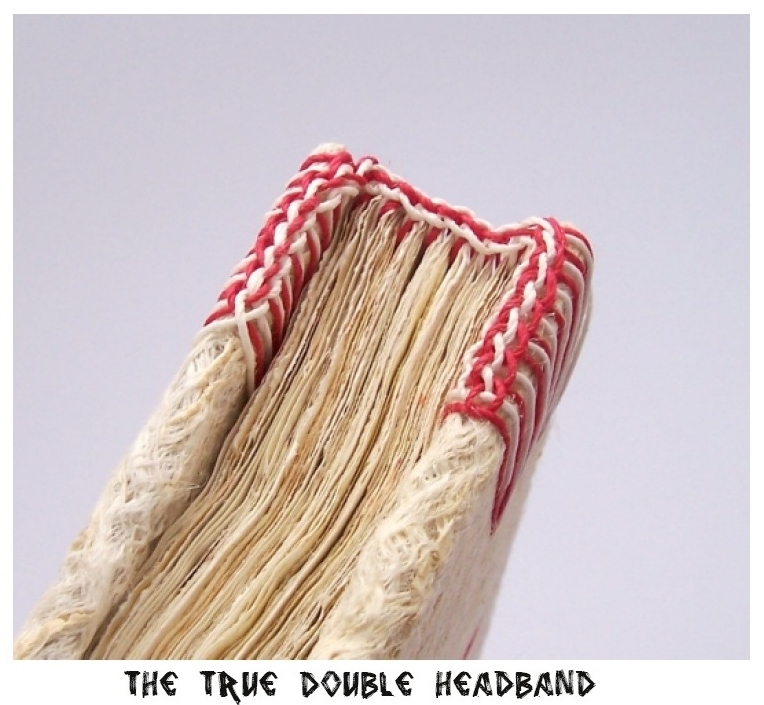 The Coptic binding itself is not explained, only the modifications that you’ll have to do for the attachment of the headbands are covered. It is assumed that you know how to Coptic bind a book with hard covers. 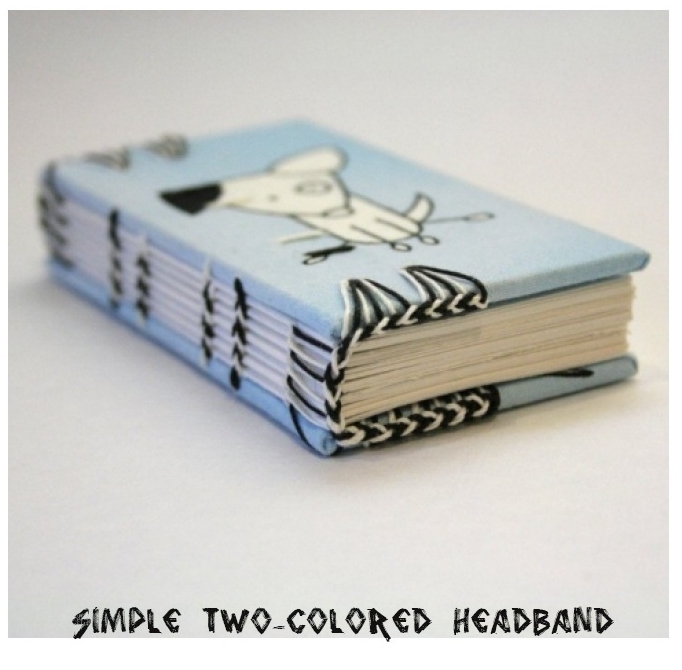 Like all my instructional books this is available in my Büchertiger Supplies Etsy Shop.